All the time we see guys extend their tippy toe out towards a multivitamin and act like they’re all in. But to put it bluntly, that centrum silver or other generic $9.97 micky-mouse of a vitamin it isn’t doing anything for a serious bodybuilder… Otherwise, your grandpa would be jacked. If you really want to make a difference in meeting your nutritional needs, then you need to think: bioactivity, clinical dose, full spectrum, and bodybuilder proven. That’s the criteria of a serious multivitamin and we don’t recommend taking anything less. From the guys that made the official Top 10 Best Pre Workout Supplements List comes the best multivitamin supplement. We’re not going to promise you an ‘easy one pill miracle’, or a ‘secret shortcut’; but we will show you real products that can fill in your nutritional gaps from head to toe. 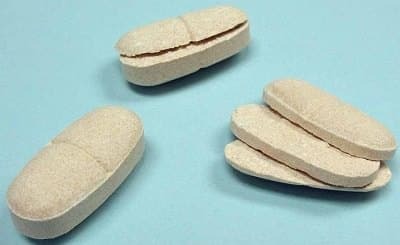 At the end of the day, you still need to lift the weights and get protein in, but if your taking one of these multivitamins then we’re confident that you’ll be entering that weight room more fortified, repaired, and ready for action than anyone else. Here’s your next multivitamin of choice that you’ll notice taking. But this isn’t cough syrup, its vitamins, minerals, and other additions that help you not only maintain great health but forge a stronger body. All of these additions are necessities for professional level bodybuilders, yet almost always overlooked by aspiring weight lifters. This is due to a mixture of disbelief and lack of means. In addition, there is a significant amount of discussion expressing how all dietary needs can be met by a few ‘easy’ alterations to one’s own diet. We’ve heard this time and time again; yet, the people preaching this are not even able to abide by it. Unless you can afford to have your meals all prepared for you, or you do not have an active and demanding lifestyle; the preparation and planning required to support an all-around healthy diet meeting all your muscle building nutritional needs is a disillusion. That’s why we consider supplementing with proven vitamin packs to be the crystal clear choice for meeting and exceeding nutritional demands. Everyone can benefit from a daily enzyme and probiotic blend, especially bodybuilders. The enzymes present in this blend compliment and complete your naturally produced digestive enzymes that are often not at optimal levels for a bodybuilder’s food intake. This improves the efficiency and potential of the front half of nutrient digestion. Probiotics are also contained in this blend, which benefit the back half of nutrient digestion. Probiotics function by aiding in food digestion, as well as compromising a large portion of the immune system. Supplementing with a probiotic is recommended to treat several digestion complications and is a healthy addition to everyday supplementation. Combating oxidative damage in the body is a greater task for bodybuilders since the strain of athletic activity produces many free radicals. Supplementing with a natural Anti-Oxidant blend featuring sources of super-oxidation fighters like Superoxide-Dismutase is the science backed solution. The most effective weight training regimens are designed to tear down muscle and build it up stronger. However, your heart and circulatory system are affected as well. Supplementing with herbs that enhance circulation alongside CoQ10 to enhance heart cell metabolism is the educated choice. In addition to promoting wellbeing and overall heart health, the emphasis on circulatory support has a positive effect on nutrient uptake and ‘pump’. The action of straining your muscles also strains your joints, the only difference is that your joints have a very finite lifespan. With that in mind, a proactive regimen involving preservation of your joint tissue alongside consciousness of motions are incredibly important. If you want proof, ask some middle aged guys in your gym or any well-built individual. Joint damage comes with the game of building muscle mass, but if you make an effort to prevent or medicate the situation you can hold off joint damage and still get an exceptional physique. Most weight trainers don’t realize that you don’t need to be taking ‘bad stuff’ to damage or clog up your liver while weight training. Let’s quickly review what your liver does- the liver both participates in energy metabolism and detoxification in the body. Here we put emphasis on detoxification. As we mentioned before, while weight training a great deal of free radicals are produced. These free radicals can be countered by anti-oxidants, but the bigger, bad free radicals must be ‘neutralized’ by the liver. The sheer quantity of free radicals produced by weight training alongside the standard diet can cause the liver to be constantly trying to catch up in its detoxification efforts. That’s where liver detox blends come into the picture. Detoxing the liver consists of strengthening the liver cells and peroxidase activity that carries out elimination of free radicals. Maintaining a healthy liver can have many surprising benefits with the reduction of free radicals, ranging from more energy to better overall bodily health and appearance. More times than not, athletes that take multi vitamins do not get injured where their non multi vitamin counterparts do get injured. Just like how the multi vitamin taking athlete improves training 3-5% faster than their non multi supplementing counterpart. Nevertheless these benefits are not definitively seen, making credit due hard to give. But what if you could enhance your multi vitamin? Take your standard armor formula, and give it some extra benefits that you will definitely notice and even feel. 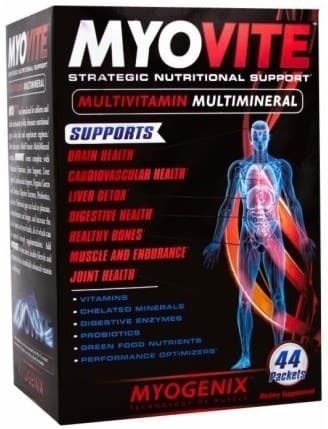 That is the type of multi vitamin that we approve of, and time after time perform the best.